Indoor mold development within a Gloucester City NJ home or business poses a great threat to those living in the environment or those working in the environment. Mold exists virtually everywhere, and it plays an important role in our delicate ecosystem. However, if indoor mold levels are elevated beyond “normal,” it begins to hinder the safety of anyone exposed for prolonged periods of time. “Normal” is defined by the outdoor spore count of the natural environment outside of the property. Elevated indoor spore counts indicate an underlying indoor water problem that is promoting the excessive fungal activity. If the mold and the water problems are not resolved, you can be greatly compromising your safety and your family’s safety. If you suspect mold development in your home or business, call MasterTech to complete a Gloucester City, NJ Mold Inspection. A MasterTech mold inspection includes: a visual assessment, moisture mapping, thermal imaging, mold sampling and testing, and a detailed report of findings. If necessary, your mold inspector will collect air or surface samples for mold testing. This will provide scientific data that can help your inspector gain more understanding of the mold problem. Following the completion of a full mold inspection, Your MasterTech inspector will be able to provide you with all recommendations for resolving your mold problems. If remediation is necessary, MasterTech will develop a full scope of work appropriate for your specific mold needs. In order to guarantee the success of your Camden County, NJ Mold Remediation, the MasterTech Team makes it a point to diagnose the underlying water issues. During the MasterTech inspection process, your inspector will piece together all the information gathered to get a general idea of the moisture source. Then, during the mold remediation, our technicians will be able confirm the moisture source. With that information, our team will be able to provide you with all the appropriate recommendations for mold prevention in the future. 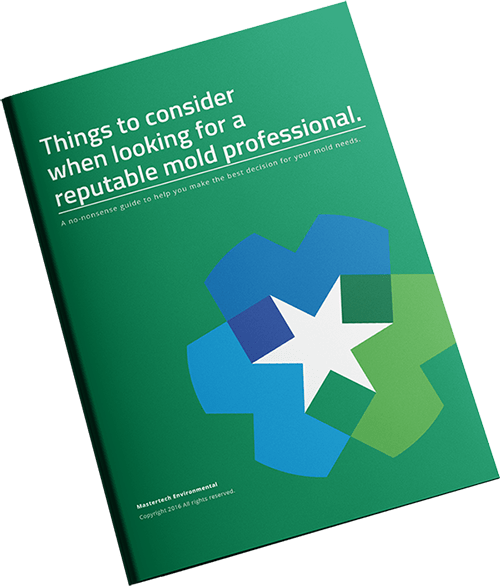 When it comes to you and your family’s health and safety, fixing the mold problem is not enough. For us to be confident that you and your family will be returning to a safe home, we must diagnose and resolve all underlying causations to prevent recurrence. Serious mold development is considered a bio-contaminate that, in most cases, need to be handled by a trained professional. Mastertech provides home and business owners in Gloucester City, NJ with the safest, most effective and most efficient mold removal services in Gloucester City, NJ. Each New Jersey mold remediation includes: identification and treatment of all areas of concern, a safe, efficient, and effective cleanup, and recommendations for preventative measures that will hinder recurrence. 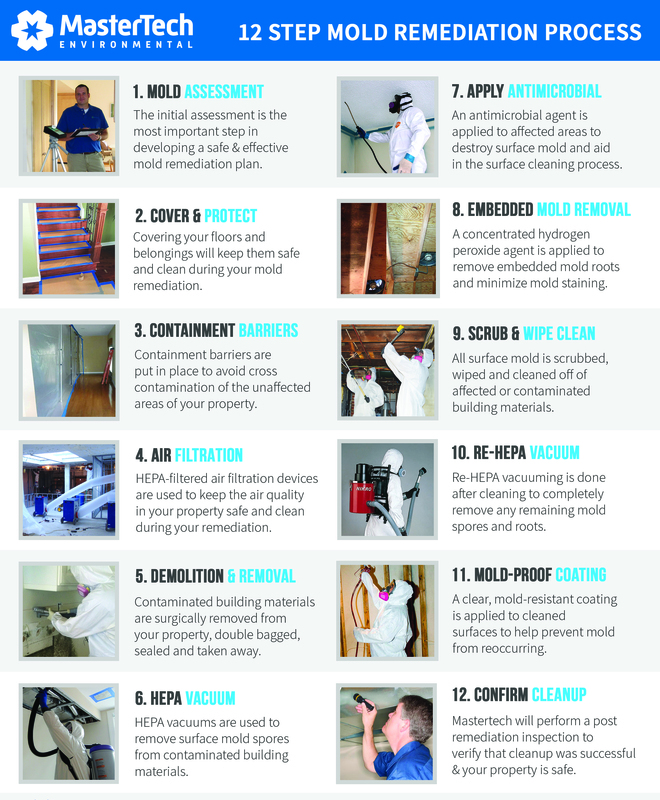 Our 12 step process ensures control of the problem through proper containment and protection of your home or business. Our technicians will take care to complete a thorough cleanup and proper disposal of all contaminated materials. Once the work is complete, we confirm the job was done right with post verification testing. At MasterTech, we are committed to providing you and your family the safest and most effective mold remediation in Gloucester City, NJ. As proof of our commitment to you, your family, and your property value, we offer a 5 year mold-free warranty with every Camden County, NJ mold removal. If detect signs of mold development in your Camden County, NJ home or business call to speak with of our specialists today! Our Mold Specialists will gladly go over any questions your may have and schedule you for an appointment. For mold removal, mold inspection Runnemede, NJ or mold removal, mold inspection Sicklerville, NJ call us today.